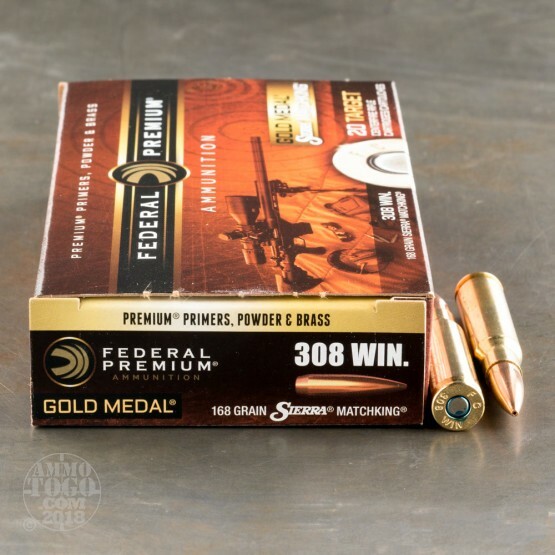 Match grade .308 does not have to be expensive, and we all know the greatest cost savings come from bulk purchases. With this in mind, we are proud to offer special 500 round case lot pricing on match grade Federal Premium .308 Winchester ammo. Featuring a 168 grain Sierra Matchking bullet, this ammo generates 2619 foot pounds of energy while traveling at 2650 feet per second. 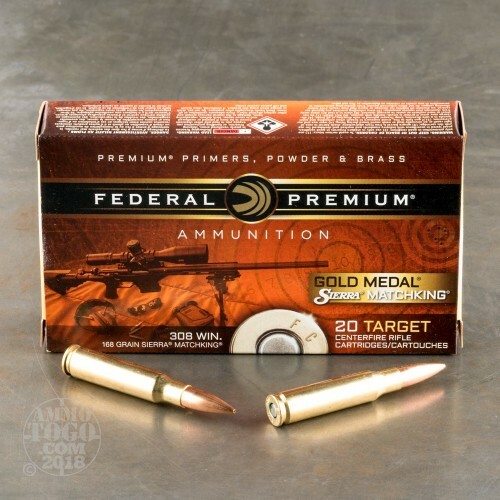 Superior construction means superior performance, and Federal Premium ammo lives up to it's name by offering premium accuracy and performance in your favorite .308 rifle. 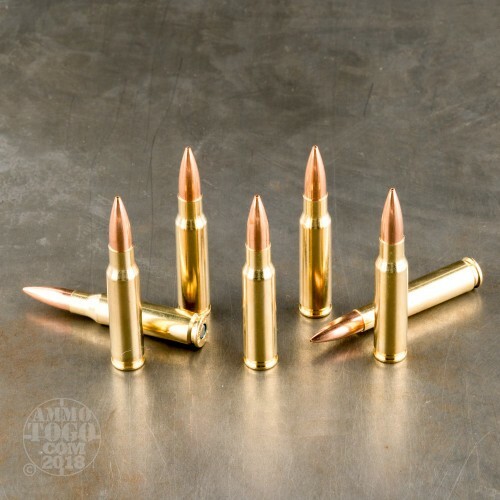 Built using all new components, and packed in 20 round boxes, this brass cased and boxer primed ammo is reloadable, and bulk priced per round well below what you might normally pay for match grade .308. Proudly made in the USA, special 500 round cases of Federal Premium .308 allow for long practice sessions, or long term storage options. Bulk cases are also ideal for retail and range sales, or simply building up a personal supply of ammo. Regardless of if you are a new or seasoned shooter, you can be assured of buying the highest quality hunting or match target shooting .308 on the market today. In a world full of mass produced compromise, you can be assured that Federal Premium .308 will not let you down.